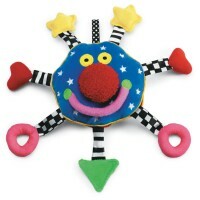 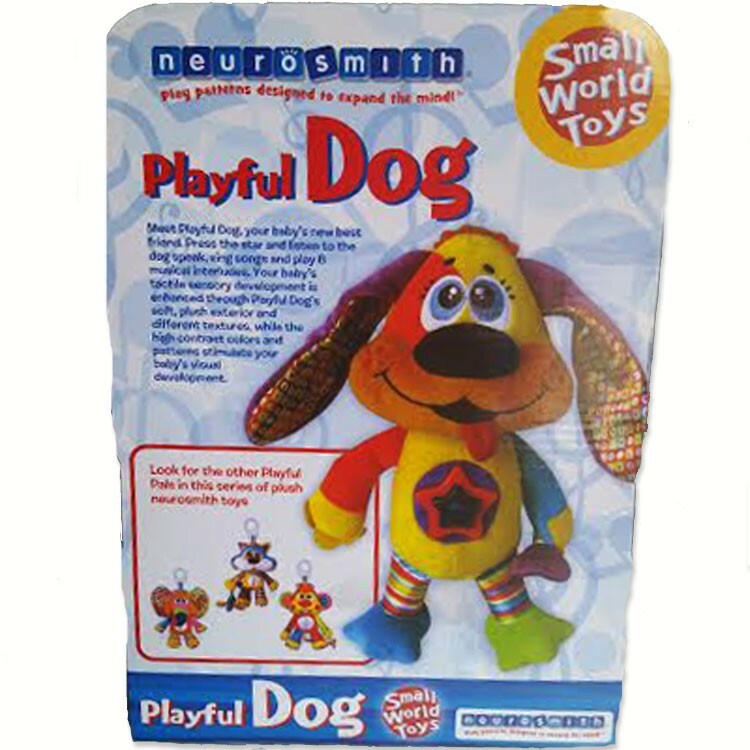 Neurosmith Playful Dog is a bright colored toy puppy that talks, sings, plays music and is always ready for a hug. 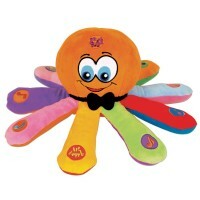 This cuddly puppy will be happy to accompany your baby from the first days to preschool! 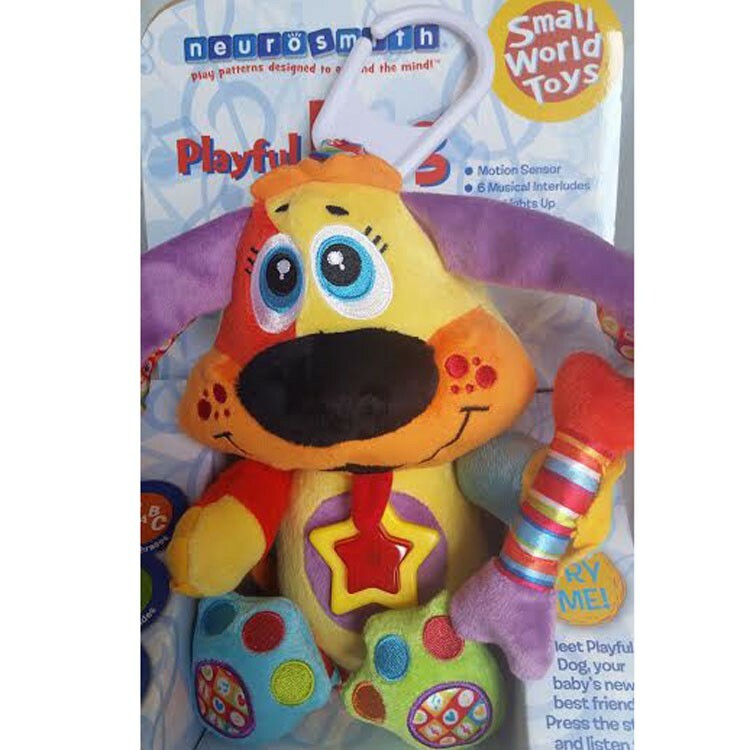 Playful Dog Interactive Soft Toy is a bright colored toy puppy that talks, sings, plays music and is always ready for a hug. 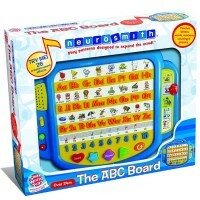 This cute toy dog plays 3 classical melodies and 3 children songs to relax your little dog owner. 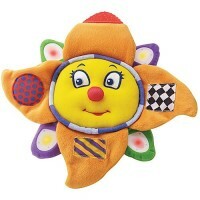 Press the star on soft dog's tummy and listen to the teaching phrases. 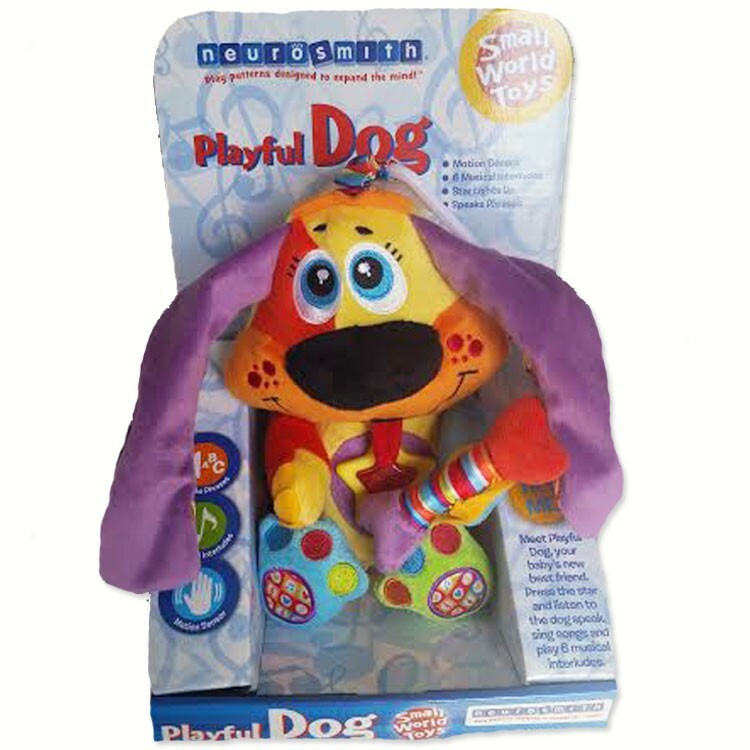 This stuffed musical dog by Neurosmith comes with clip to attach the toy to a baby stroller, crib, or car seat. 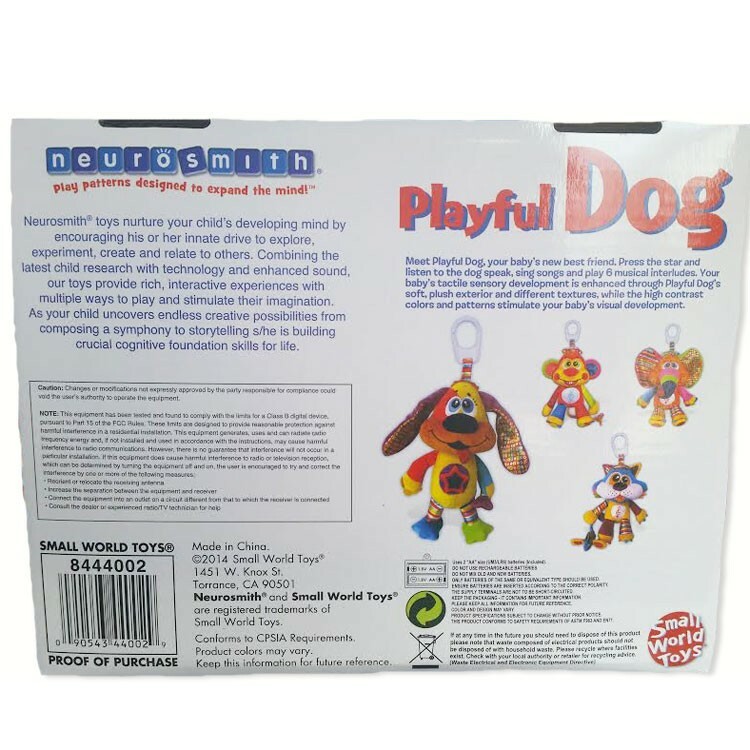 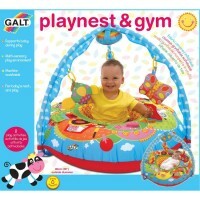 Parents will like the on/off switch and volume control on this electronic toy puppy. Playful Dog Interactive Soft Toy from Educational Toys planet measures 12 x 8.5 inches and requires 2 AA batteries (demo batteries included). 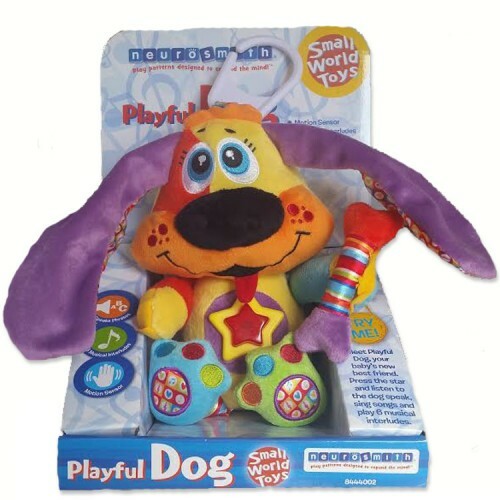 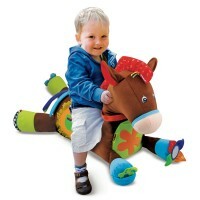 Dimensions of package 12" x 8.5" x 2"
Write your own review of Playful Dog Interactive Soft Toy.